Accidents at the workplace need to be prevented. 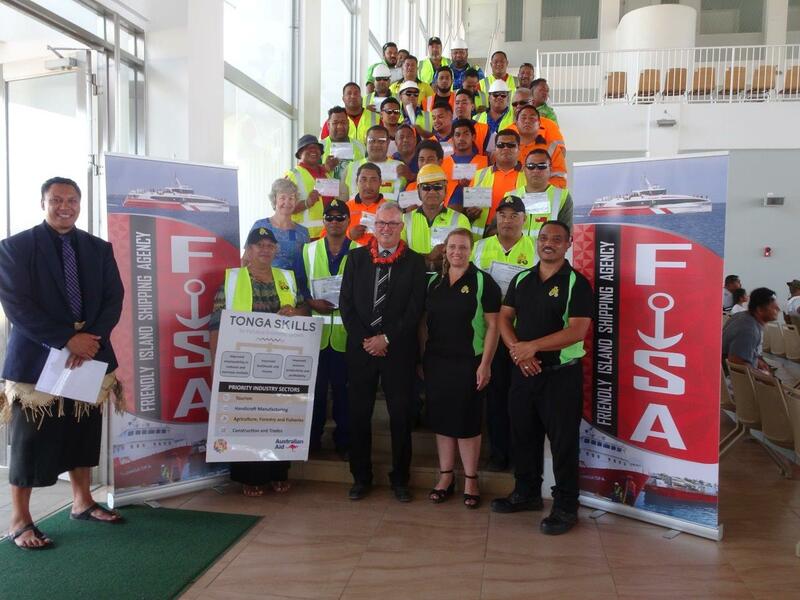 The Friendly Island Shipping Agency (FISA) are taking this seriously and have partnered with Tonga Skills to organise Forklift training for 35 drivers from many companies in Nuku’alofa. The trainer, Mr Henry Myers from ASWEFA New Zealand, provided theory and practical training in safety, hazards, correct loading, capacity, maintenance, stability, and driving techniques. 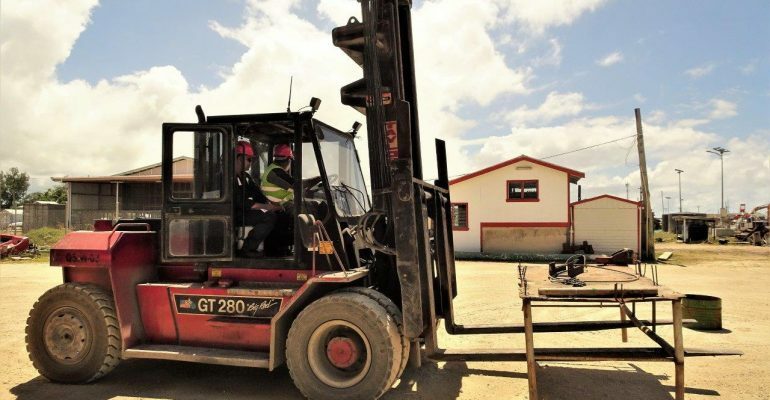 This was the first international training of Forklift drivers in Tonga. Trainees came from PTH Hardware, Sunrise Fishing, FISA, Dateline Shipping and the Ports Authority, and all companies were willing to pay part fees to have their workers included. All the drivers are now safer and more productive forklift drivers. 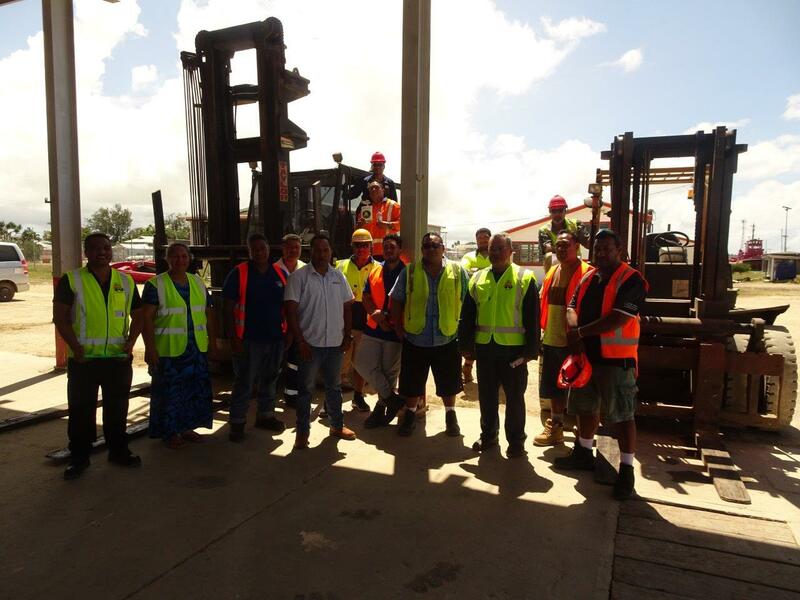 Five drivers including the first women forklift trainer have been trained to train other forklift drivers, including in the outer islands. FISA intends to continue to provide training in other Workplace Health and Safety areas and Tonga Skills will assist them to become registered with the TNQAB.